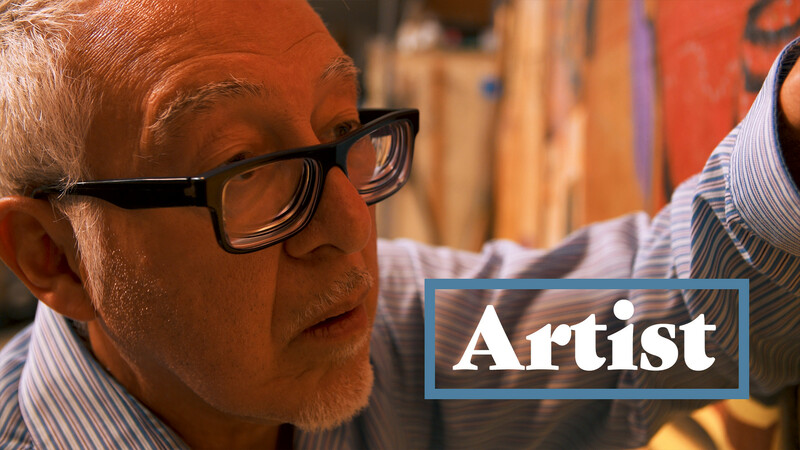 We’re continuing season five of Beyond the Gallery this week with Carlos Frésquez, an artist from Westwood Creative District. Color is like the voice of a painting for Carlos. You can mute the color so it’s almost a whisper. Other times you can make it bright and vibrant so it’s screaming. Or you can have things in between – it’s all relative. Carlos Frésquez was born in Denver, Colorado where he still resides. He receIved a BA from Metropolitan State University of Denver in 1980 and a MFA from the University of Colorado, Boulder in 1995. He has exhibited his drawings, prints, installations and paintings in at least 30 U.S. States and in over a dozen different countries. Carlos has lectured about Chicano Art history and his own artwork at many colleges, universities, galleries and art centers including; Las Bellas Artes in Mexico City, The Albuquerque Museum and The National Museum of American Art. He is currently an Associate Professor at Metropolitan State University of Denver. This episode of Beyond the Gallery is sponsored by Colorado Creative Industries. A division of the Colorado Office of Economic Development and International Trade, Colorado Creative Industries believes in the power of creativity to inspire human connections, create social change and support economic vibrancy throughout Colorado. They believe in the practice of creation, the artists and entrepreneurs who contribute to our rich culture and the benefits of our creative economy. Colorado Creative Industries supports and encourages the innovators, creators, change-makers and dreamers who improve our quality of life and make Colorado creative. They focus on strengthening the vitality of visual, performing and literary arts through promotion, resources and funding opportunities. They believe in bold innovation and the invaluable contributions the arts bring to this beautiful state.